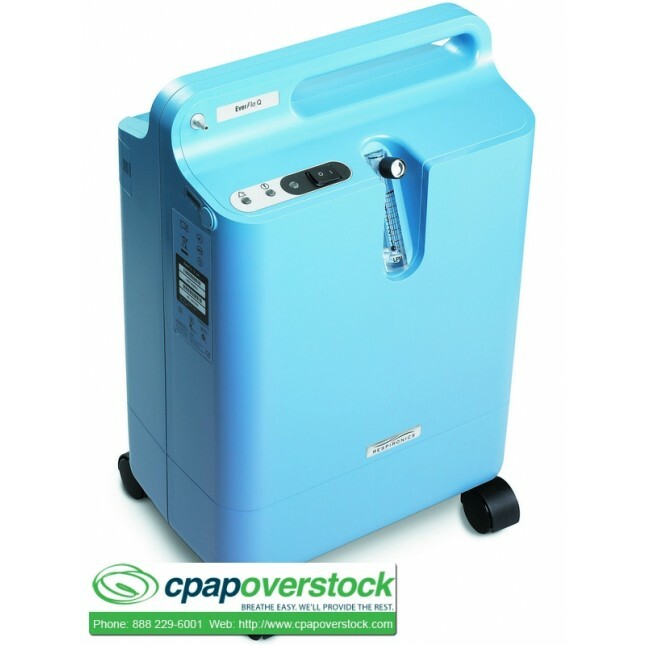 EverFlo is lightweight (31 pounds), smaller and sleeker, easy to store and transport, low maintenance, quiet, simpler for patients to use and maintain, no homecare provider filter change for two years, uses less power and produces less heat and has no filters for the patient to change. It provides an ultra-quiet sound level of 40dBA, under typical use. A recessed flow meter helps reduce the chance of accidental breakage. The Humidifier Bottle Platform is designed to be compatible with all bottle styles and features an easy-to-use Velcro closure. Overflow is designed with fewer parts resulting in lower overall maintenance costs. It has just two filters. 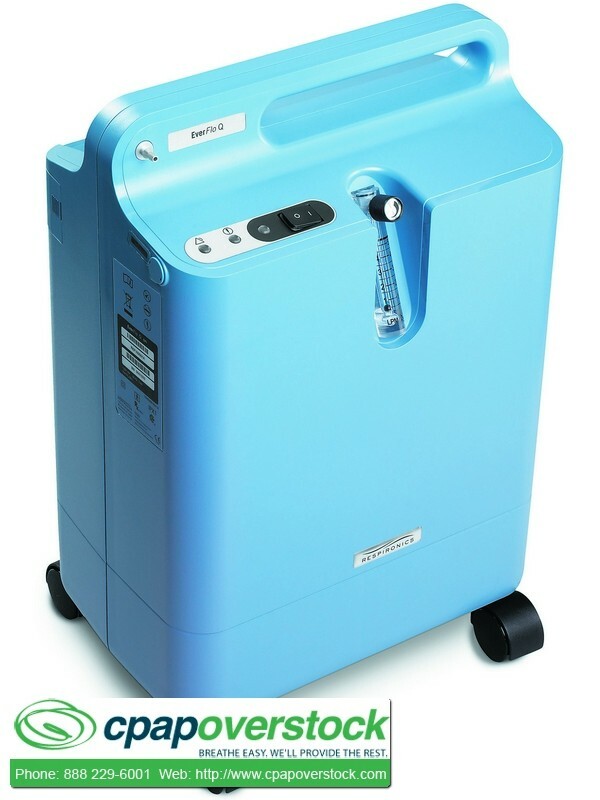 The external filter can be changed in minutes without special skills or tools, and the internal micro disk filter is simply checked during routine maintenance procedures. Internal tubing storage keeps tubing conveniently available for use.